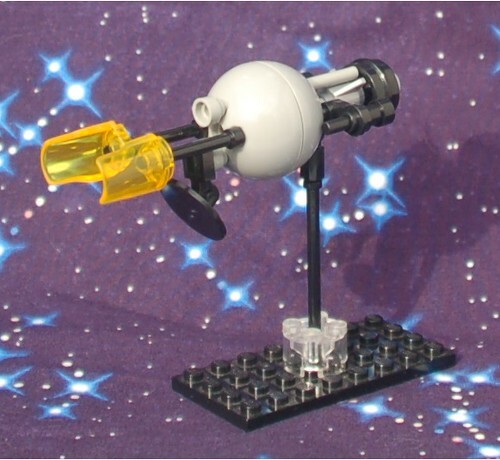 Spheroid Recon Frigate, on Flickr. Something new for Intercept Orbit, an attempt to make something "completely different" than I -- or anyone else -- had made in terms of spaceship design. Oh, it's made from Kre-O too. Stats: (armor panel) (sensor booms) (frigate speed) . Really nice, the shape is very utilitarian, could be a great HVA too! VitorFaria wrote: Really nice, the shape is very utilitarian, could be a great HVA too! The HVA for the fleet uses the same sphere design.